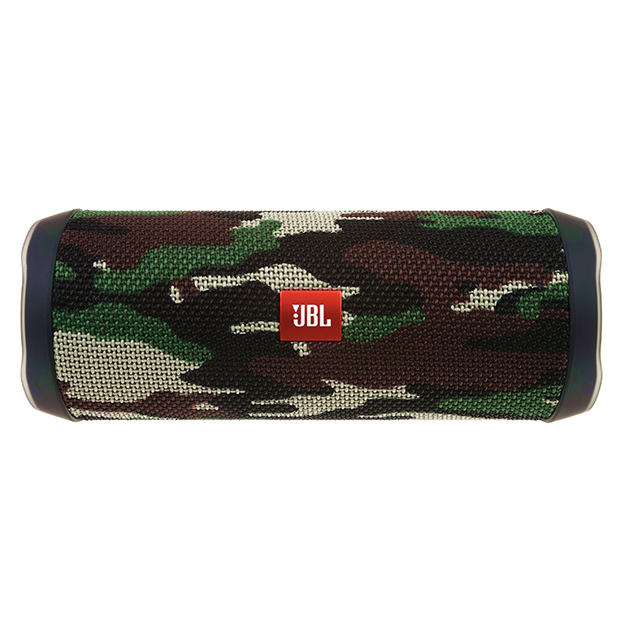 JBL Flip 4 Special Edition heeft als beoordeling 4.5 van de 5 door 1632. Rated 5 van de 5 door V213 uit Impressive quality. I just bought this a week ago and havent looked back. Blue. I toss it in the washing (not running) machine to give the bass a bit more badump. For the price you cant go wrong. It sounds much better than the last speaker i had, cost more than the Flip 4. The battery lasts all day, depending on your volume settings. In this one week i have dropped it twice, off an pallet jack and another time jumping off the mast off a forklift. Id say 5ft. Still works like a charm. Not a scratch. The sound is impressive. I listen to almost everything. Everything sounds good. Ill be ordering the camo flip 4 and a charge to have a nice system when i ride my bicycle. Rated 5 van de 5 door JW3312 uit Better each generation! 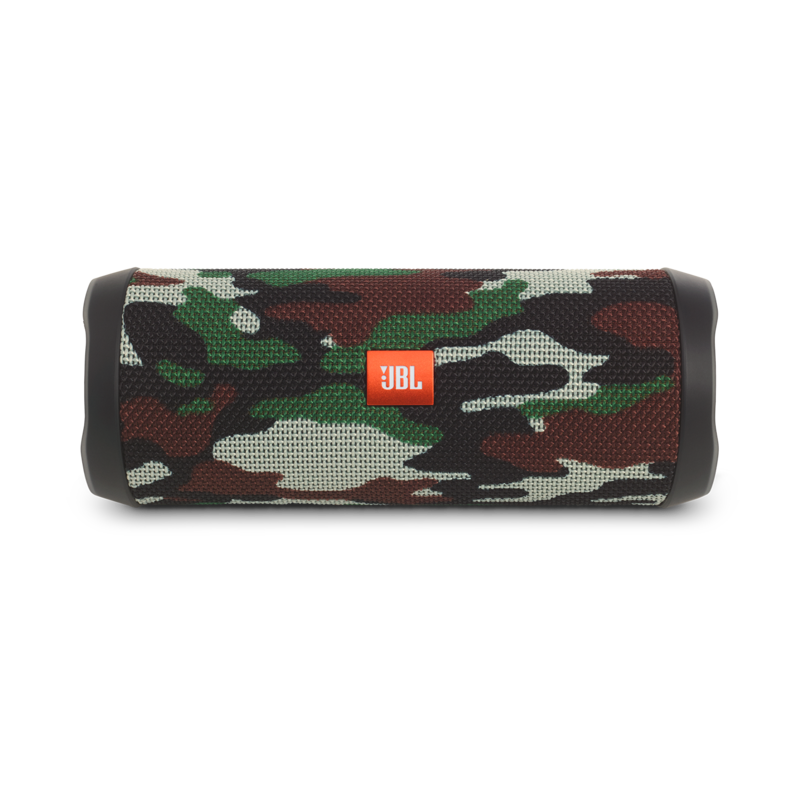 This is my third JBL Flip, I also own the Flip 2 and 3 which both work great to this day. 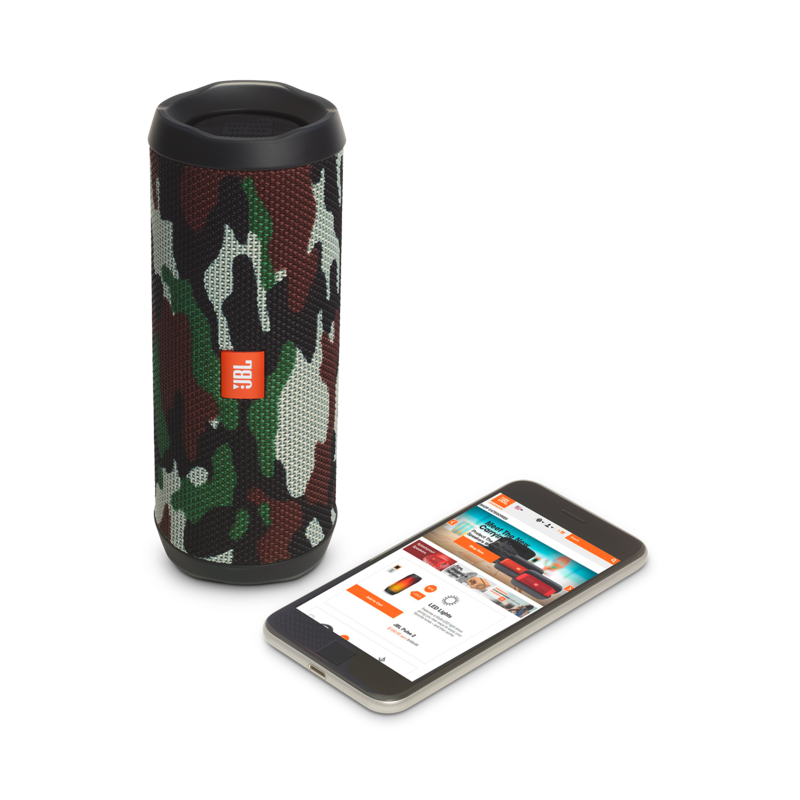 Each generation of JBL Flip simply gets better than the last, this generation adds IPX 7 water resistance and JBL Connnect+ with performance improvements such as 2 hours more of battery usage and a deeper bass response. 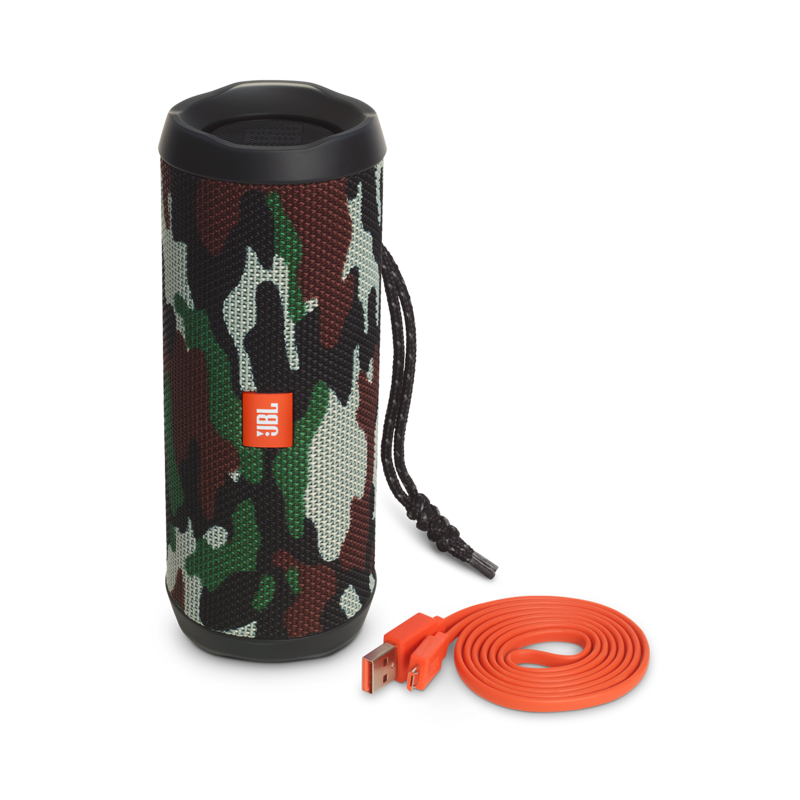 When it comes to durability in Bluetooth speakers JBL always delivers, and the Flip 4 is perfect for outdoor usage. 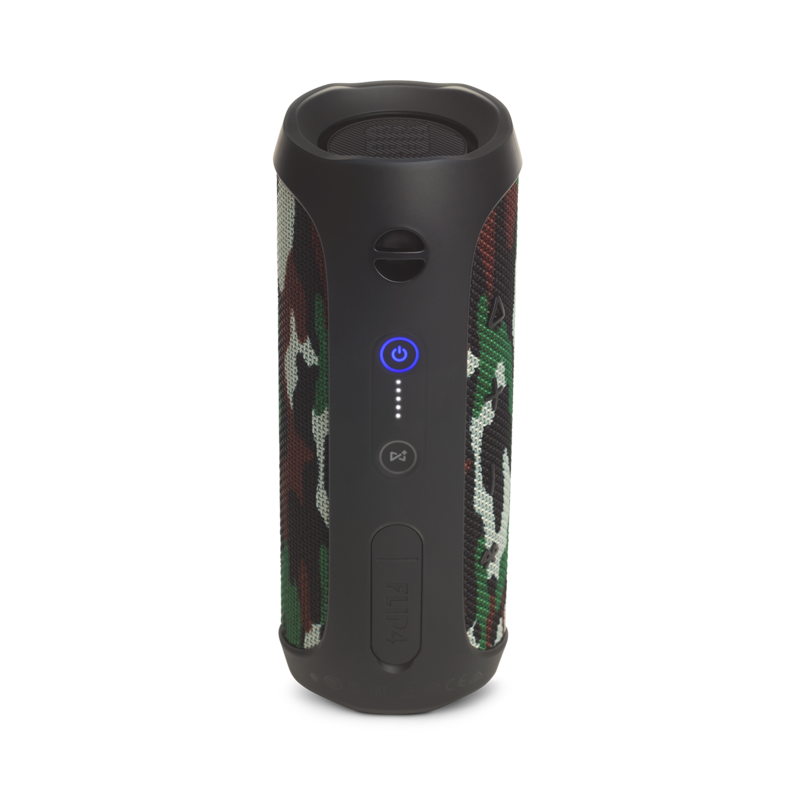 All in all if your looking for a smaller Bluetooth speaker that can deliver sound as good as larger speakers, and is durable the Flip 4 is way better than the competition. Rated 5 van de 5 door lone_ranger uit Excellent so far, haven't thoroughly tested First of all, you have to be mindful of the sound settings on your device in order to prevent things such as text messages and other sounds from occurring while you are playing music. As always, don't blame the device for user error. Anyways, the Flip 4 sounds great and has really good bass. It has really good range, especially outside; I think I went way past the listed range and did not lose connection. I haven't tried to test the battery in one sitting, nor have I run water over it, nor have I set it out in the sun for long periods of time. I will when I go to the beach this summer. Build quality feels solid. If you lose the lanyard, you can easily replace it with a shoe string. Rated 2 van de 5 door Mija uit Needs longer battery life I bought one of these a couple of months ago for a river trip and the speaker was great! It was easy to use and had good sound quality however the battery life was very disappointing. I realize it says up to 12 hours depending on volume and content but I would still expect to get more than 4 hours of play time from it. I actually returned the first speaker because of it thinking it was defective of something. I bought another one hoping that the first one was defective. IT WASN'T. I think it would be better advertisement to say the battery last for 4 hours because that is the max amount of time I have been able to use the speaker. Rated 5 van de 5 door jsf910 uit Great Speaker!! This speaker for its size puts out amazing sound!! I have it with me when I am on the bike, working in the yard, or just around the campsite. I love the bass this speaker produces and the clarity of calls. I can stand 10 feet away and the person on the line can't even tell! I have left in outside for a few days sitting on end and when I went to retrieve it, shook the water out of the sub, and it played without issue! The speaker has amazingly loud sound so it can be put on one side of the yard, while working anywhere else and you be able hear it just fine. Rated 5 van de 5 door AntJ uit Great speaker I purchased the Flip 4 less than a month ago. I purchased it mainly for a replacement speaker for when I' cycling because I don't like to wear headphones. I also use it when I'm working out in the garage, on runs and hikes. The clarity on it is awesome. For it to be a small speaker the bass on it is pretty good. The speaker will last for some time if you don't have it too loud. While cycling I had it to close to it's max because I was on loud and busy streets. The battery lasted for about 3 hours. I was pretty disappointed, but considering how loud and clear it was through the traffic, bike lanes along the river and in wide open areas I'm glad I purchased it. Rated 5 van de 5 door GarryG uit Sound, bass, form factor! 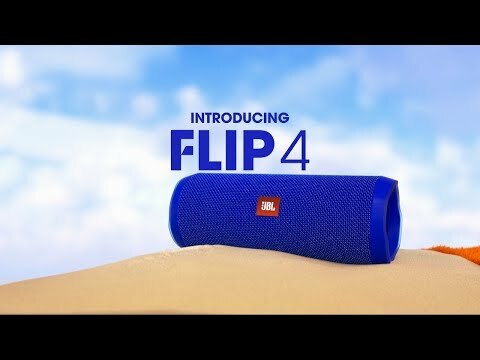 I have bought a speaker of another manufacturer, a good one, but after listening to my friends FLIP 4, I exchanged it without hesitation on FLIP 4! Deep, soft sound with excellent hard bass))) QUESTION TO THE MANUFACTURER Please explain the correct work of the FLIP 4 speaker when tested with pouring water on the membranes of passive speakers (in vertical position). In some reviews water stands still on the top of the membranes of passive speakers, but in some it flows inside of the speaker and flows out from the lower membrane. If the water flows inside of the speaker and flows out from the lower membrane - this means that the column is defective and the membranes are not sealed, so I can contact the seller to exchange the speaker ??? Mon enceinte s&rsquo;allume toute seul quelques jours avant elle mont&eacute; ou baiss&eacute; le son seul que faire ? 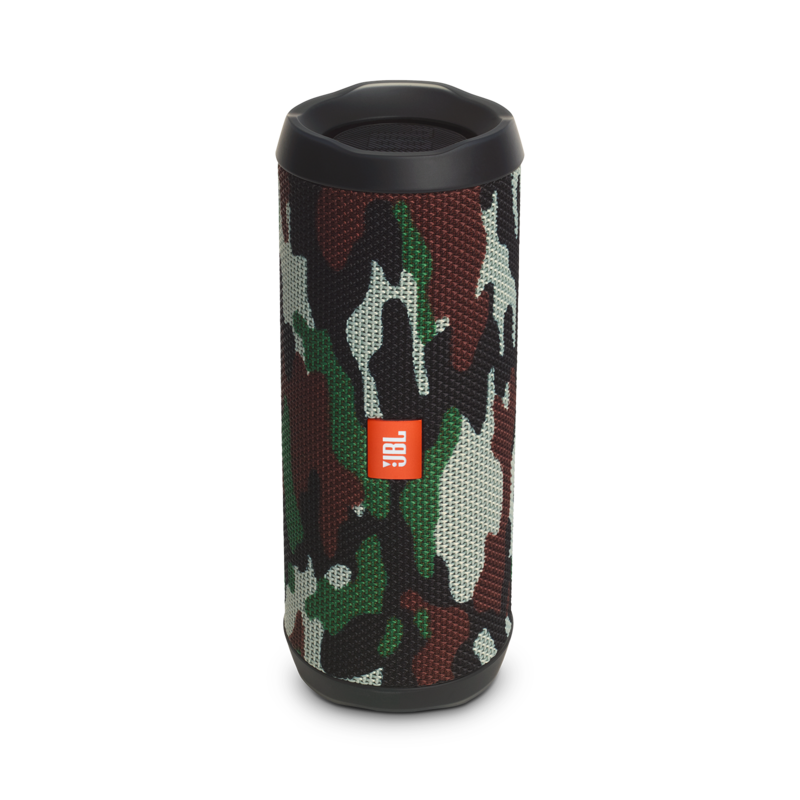 Would this be a good speaker to use for an outdoor dance fitness workout class? Yes it is. If you have a big class, you can connect multiple speakers at the same time. Bonjours, J'arrive &agrave; connecter mon Nokia Asha 302 en bluetooth &agrave; la JBL Flip 4, une chanson se lance mais c'est tout, &agrave; la fin de cette premi&egrave;re et unique chanson sur mon portable s'est &eacute;crit &quot;la connexion bluetooth a &eacute;chou&eacute;&quot;, que dois-je faire ?